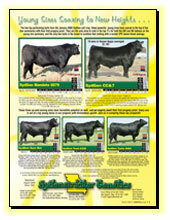 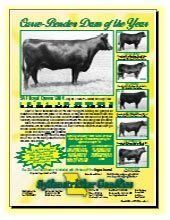 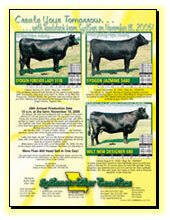 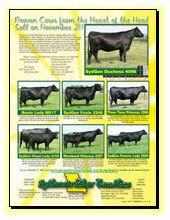 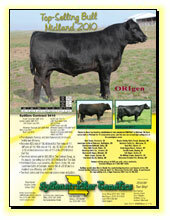 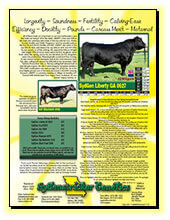 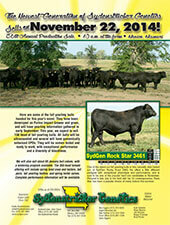 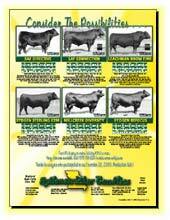 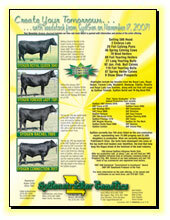 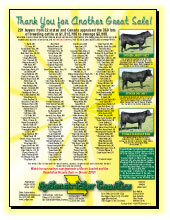 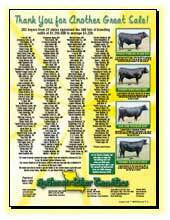 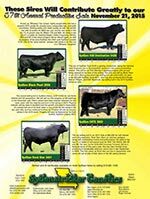 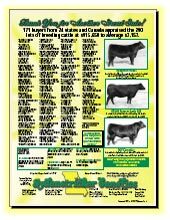 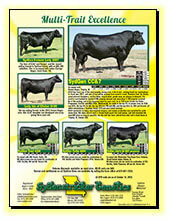 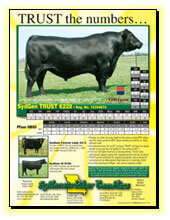 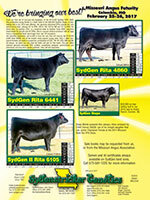 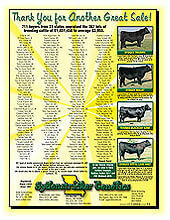 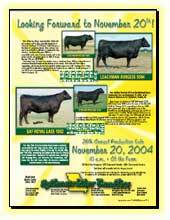 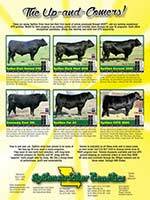 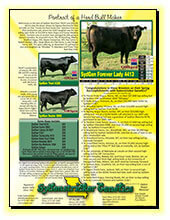 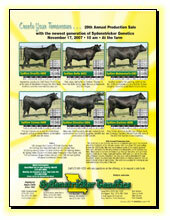 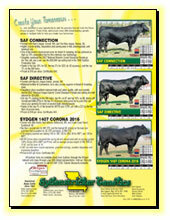 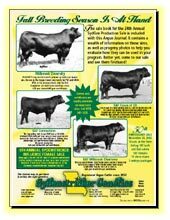 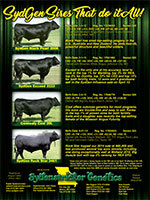 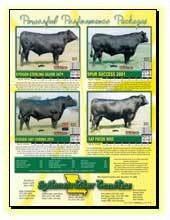 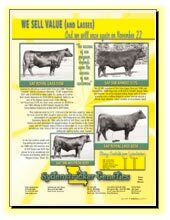 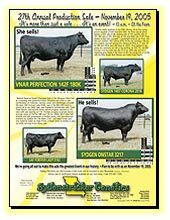 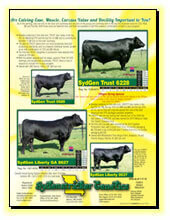 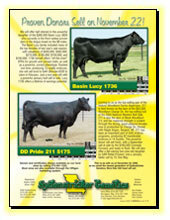 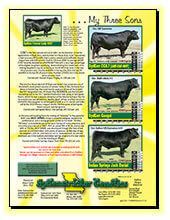 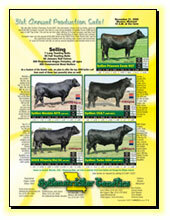 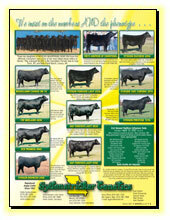 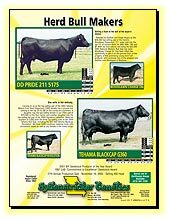 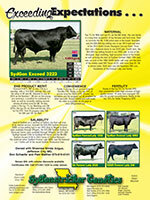 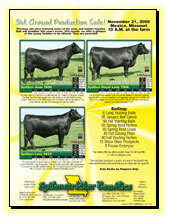 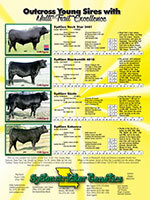 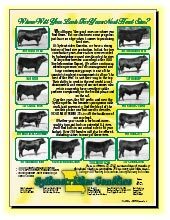 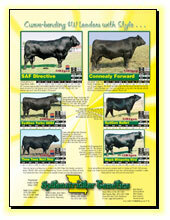 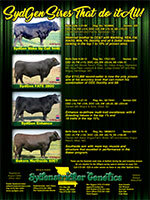 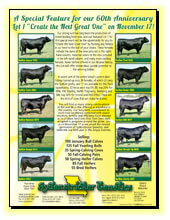 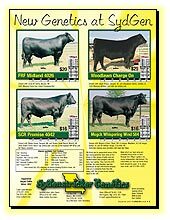 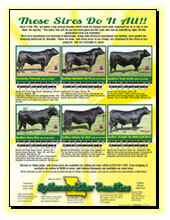 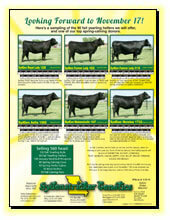 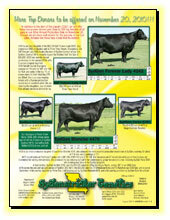 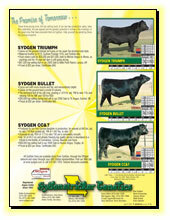 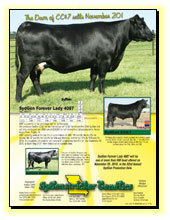 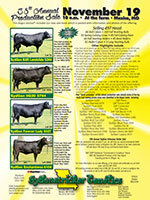 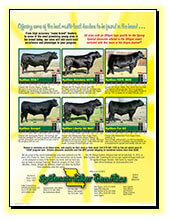 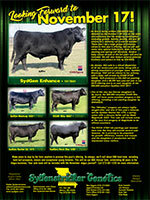 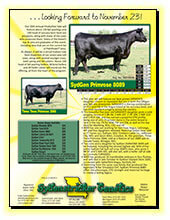 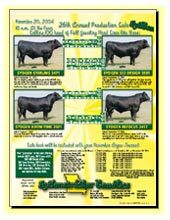 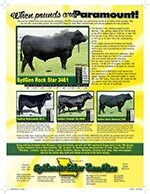 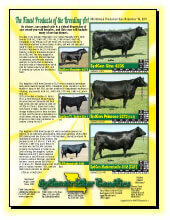 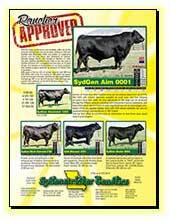 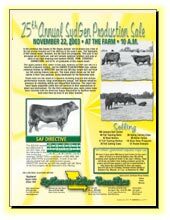 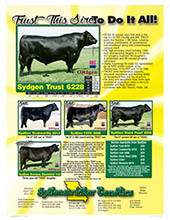 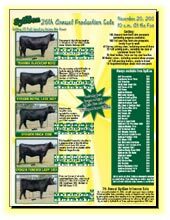 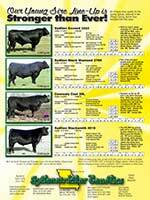 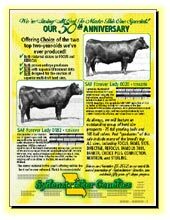 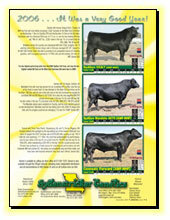 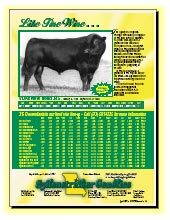 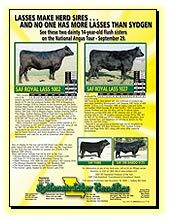 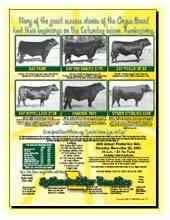 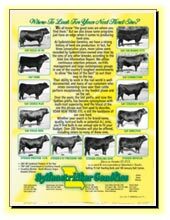 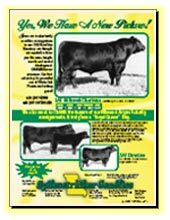 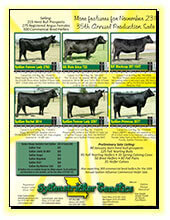 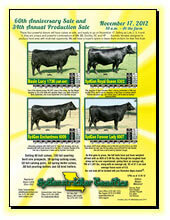 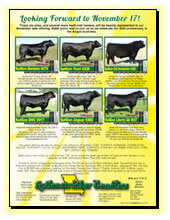 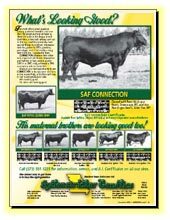 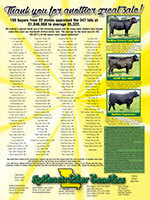 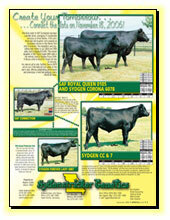 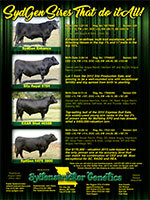 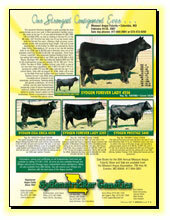 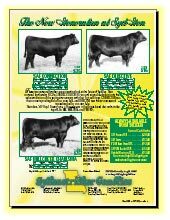 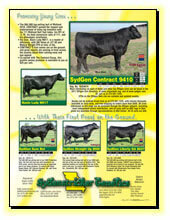 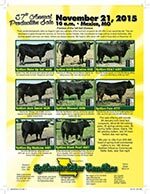 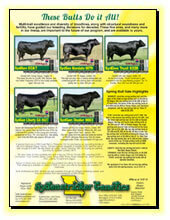 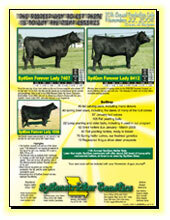 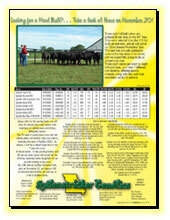 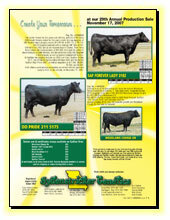 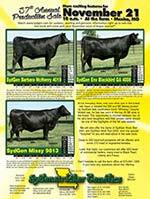 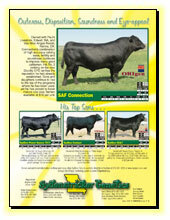 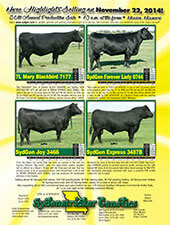 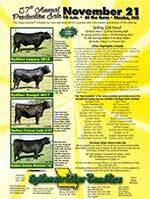 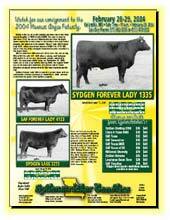 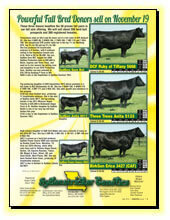 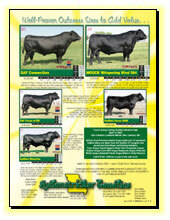 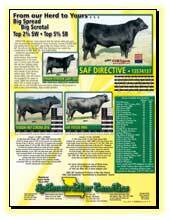 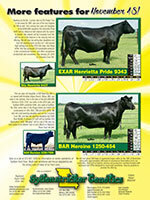 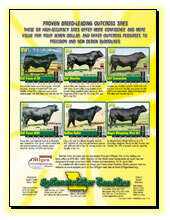 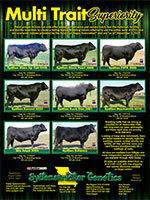 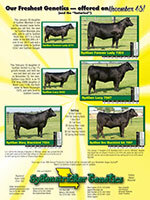 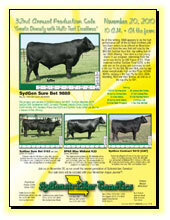 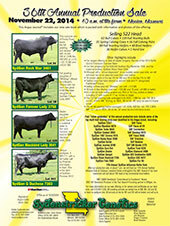 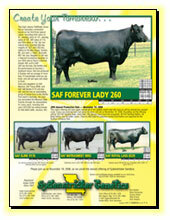 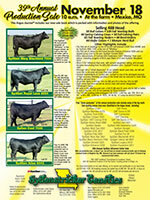 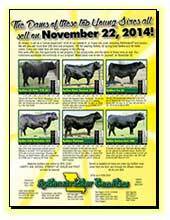 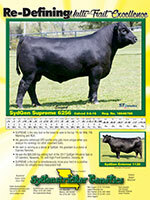 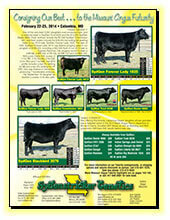 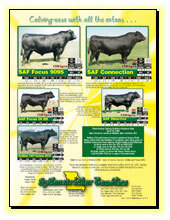 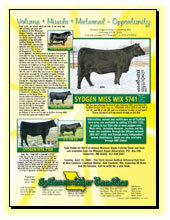 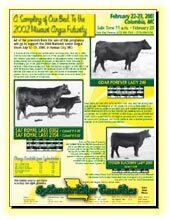 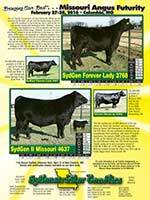 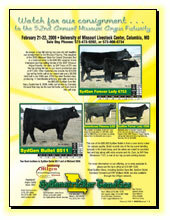 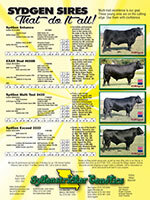 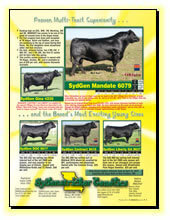 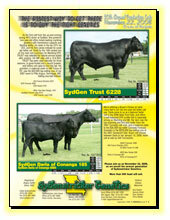 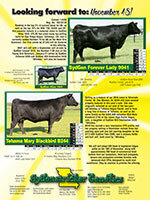 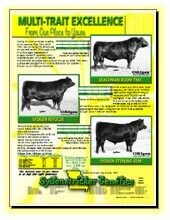 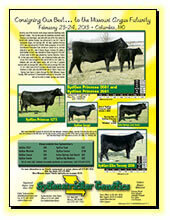 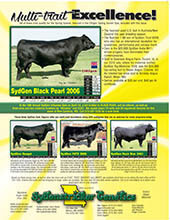 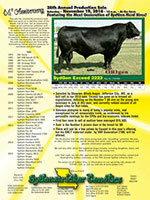 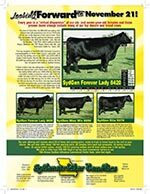 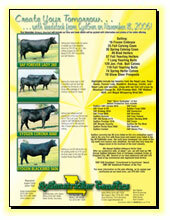 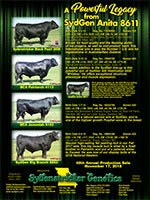 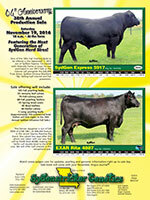 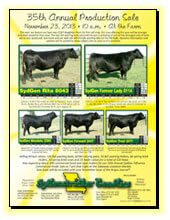 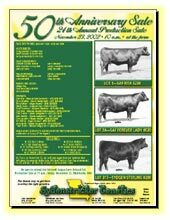 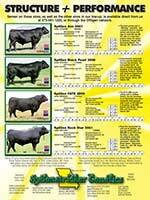 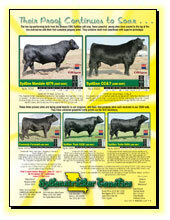 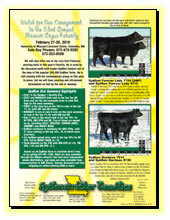 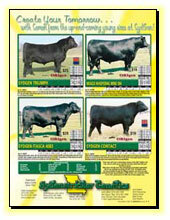 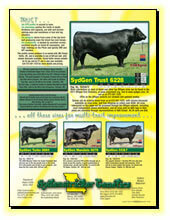 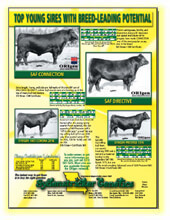 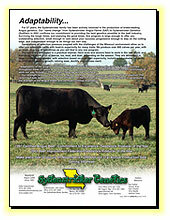 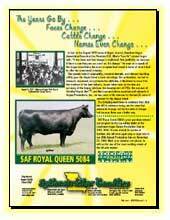 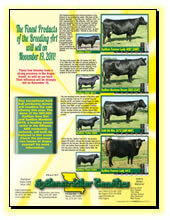 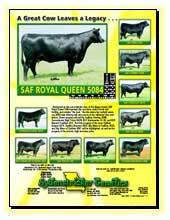 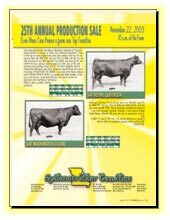 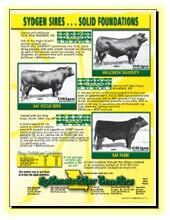 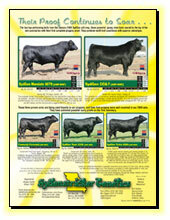 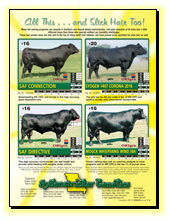 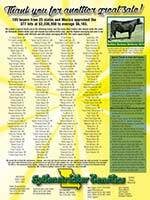 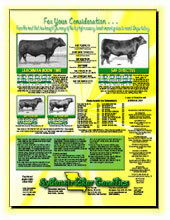 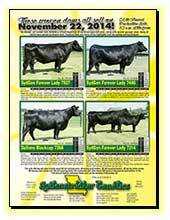 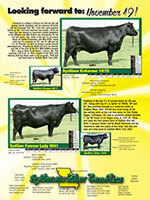 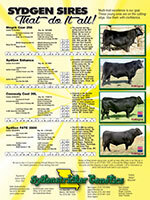 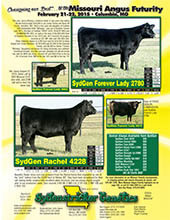 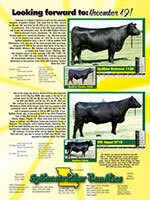 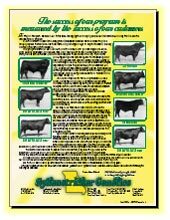 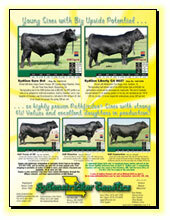 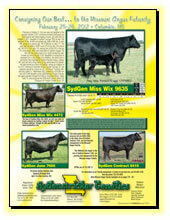 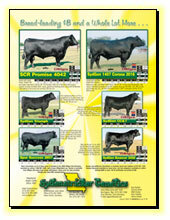 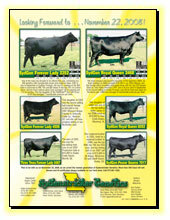 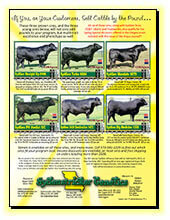 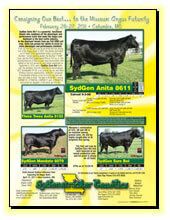 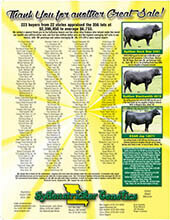 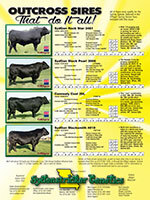 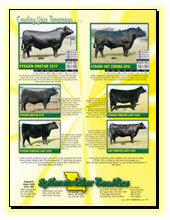 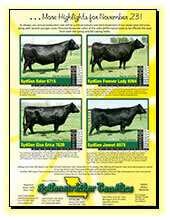 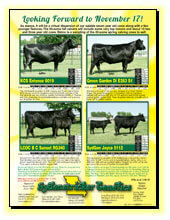 Select an Angus Journal ad below to download a PDF version. 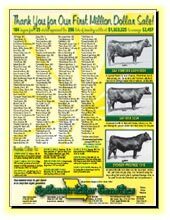 You will need a PDF reader to view the ads. 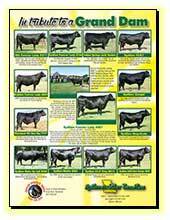 Download Acrobat Reader for free. 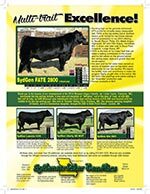 Thank You for Another Great Sale! 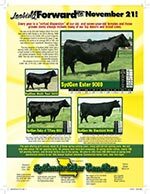 Sire Power for YOUR Consideration! 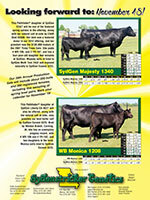 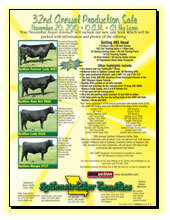 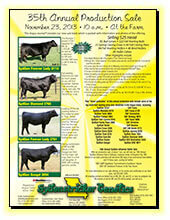 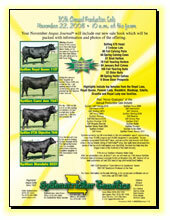 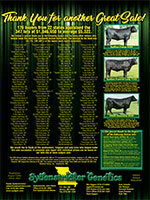 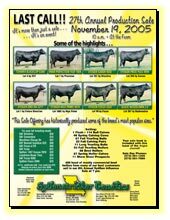 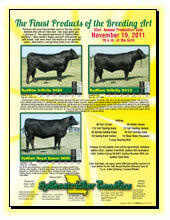 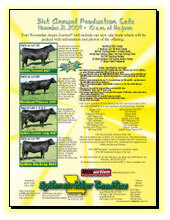 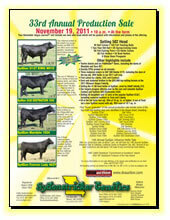 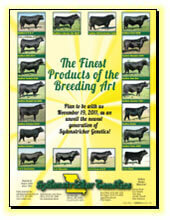 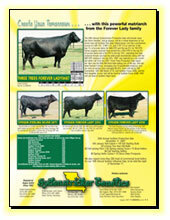 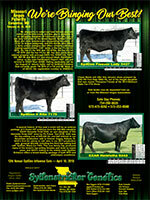 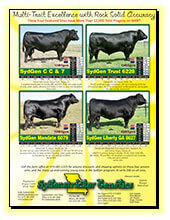 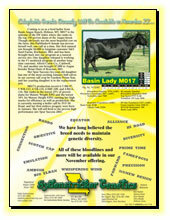 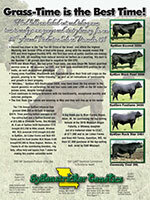 Watch for our consignment to the 2005, Missouri Angus Futurity. 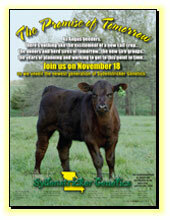 Looking Forward to November 20! 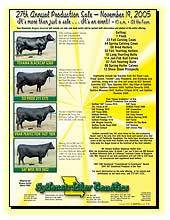 Even More Cow Power. . .
Where To Look For Your Next Herd Sire? 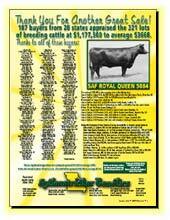 Thank You For Our First Million Dollar Sale! 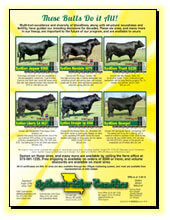 Yes, We Have A New Picture! 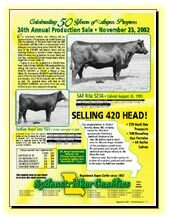 Like Fine Wine . . .